Non-organic cotton is one of the most toxic crops to grow, as it uses more than 25 percent of the world’s pesticides – more than any other single agricultural product. This method of pest control for cotton incorporates many different toxic chemicals, most of which have been determined to be carcinogenic to humans and animals. Everyone involved in the cultivation of non-organic cotton is exposed to these chemicals, including the farmers, those who are hired to pick the cotton, the animals in nearby fields, and even anyone drinking the water from groundwater aquifers near the fields. Growing cotton is a burden on our planet and people, and that’s why we should be buying organic cotton clothing whenever possible. The problem, however, is that a lot of clothing made from organic cotton is very expensive and far out of reach for the majority of shoppers. I include myself in this category, as the last time I checked I don’t have $300 to buy organic cotton jeans and my girlfriend doesn’t have $95 for an organic cotton tank top. Many brands overcharge for these items because they can; enough people do buy them at that price point. But that doesn’t mean you have to! 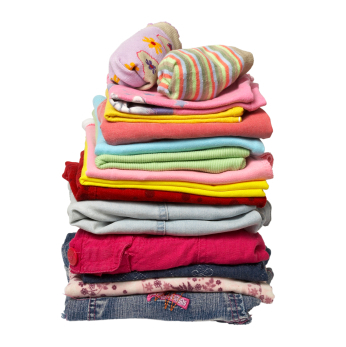 With some research and know-how, one can find organic cotton clothing at reasonable prices that most of us can afford. Here are six good places to start. GotApparel – $8.48 for a 100% certified organic, combed ringspun cotton t-shirt. You cannot beat that price for a t-shirt, and I plan on bookmarking these guys and coming back to them quite often. The more you buy the cheaper the price is, so it could be a good idea to stock up on your size. Mission Playground – Their organic cotton Avo Tee is priced at $17.99 and is manufactured in facilities that treat workers fairly. American Apparel – While they are often steeped in controversy, they truth is that American Apparel does offer some eco-friendly clothing at reasonable prices. Their unisex t-shirt made from 100% organic fine jersey cotton sells for just $18. Patagonia – I am a really big fan of Patagonia clothing, and in fact have several t-shirts from them that are around 8 years old and still going strong. Their mens and women’s organic cotton shirts are sold for $35 and are printed on with PVC- and phthalate-free inks. They also sell organic cotton jeans for a reasonable $79. Patagonia is a member of 1% for the Planet as well, meaning some of your money goes towards great causes. Anvil Anvil sells their clothing thru Amazon, many different in-store boutiques, as well as on their own website. A 100% certified organic cotton t-shirt is just $12, and the Charity Pink color is inspired by the fight against breast cancer. 1% of the sales from that color goes to breast cancer research. Overstock.com – Put the word “organic” in their search engine and you see a lot of items made from organic cotton. As of this writing, they were selling 100% organic cotton knitted bathrobes for just $45. Check the site often as I imagine products are constantly changing there. With nearly 1/3 of a pound of pesticide needed to grow just one pound of raw cotton, it’s more important than ever to be conscious of what kind of clothing we are buying. By choosing to research how our clothing is made and sticking to organic and/or earth-friendly alternatives like fast-growing bamboo, we can make a difference. Think of the farmers, pickers, shippers, and animals being affected by the growing of non-organic cotton – together, we can help reduce the toxic chemicals they are exposed to on a daily basis. Do you have a favorite place to purchase eco-friendly clothing? If so, please do leave a comment and let us know! I had no idea that cotton used so much pesticides! Jeez. I think GotApparel fits best in my wife and my’s budget. Also, we buy 2nd hand a lot and I think that helps the pesticide problem because it’s reusing what’s already been produced (buying new even though it’s “already been produced” feeds into supply and demand, but buying used does not so much). Glad to hear you reuse and use second hand items. This can make a big difference. It always amazes me what you can find second hand. There is a plethora of stuff out there almost new that people are giving away. It really is sickening how much chemicals are used to make cotton. I feel for the farmers and workers being exposed to that stuff every day. That’s a lot of pesticide for cotton. That ratio is shocking! Thanks for highlighting some reasonable alternatives. It is shocking isn’t it?! Makes me sick really that this kind of thing is even allowed to go on. Talk about a health risk. Great post! Issues around cotton are not on many people’s radar and should be brought to the forefront. For those in Canada, Mountain Equipment Co-Op sells clothes made of organic cotton at fairly reasonable prices. I love MEC. I honestly could go broke shopping there. I really like how sustainable they try to be. And yes, the cotton issue is not on many people’s radar, just like other eco issues. It is up to us to spread the word. Cotton is one of those crops that is particularly destructive, as grown with industrial monoculture. The Aral Sea in Kazakhstan was largely sacrificed to irrigate cotton crops in the Soviet era. Nowadays, a good part of the world’s cotton comes from Pakisan, grown in dryland areas that can ill afford to spare the water for irrigation. Good article, Miss T.
Thanks for the geographical info. It helps further drive home the message about the impact cotton farming has. This kind of stuff really bothers me and it amazes me governments aren’t more concerned about these impacts. I would be interested to hear about the benefits and availability of clothing made of hemp!